In honour of the Manly Nippers Surf Club celebrating their 50th anniversary a cocktail event was to be held at their surf club. 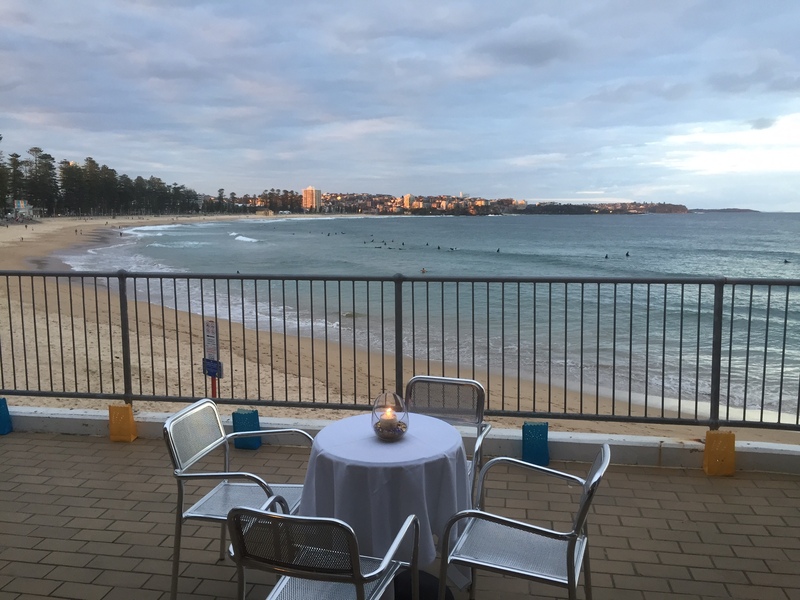 With a limited budget but the stunning backdrop of Manly beach, the idea was to create an environment that transformed what is usually a very plain space into something different to celebrate this special milestone. When the budget is limited it doesn’t mean the creativity has to be. 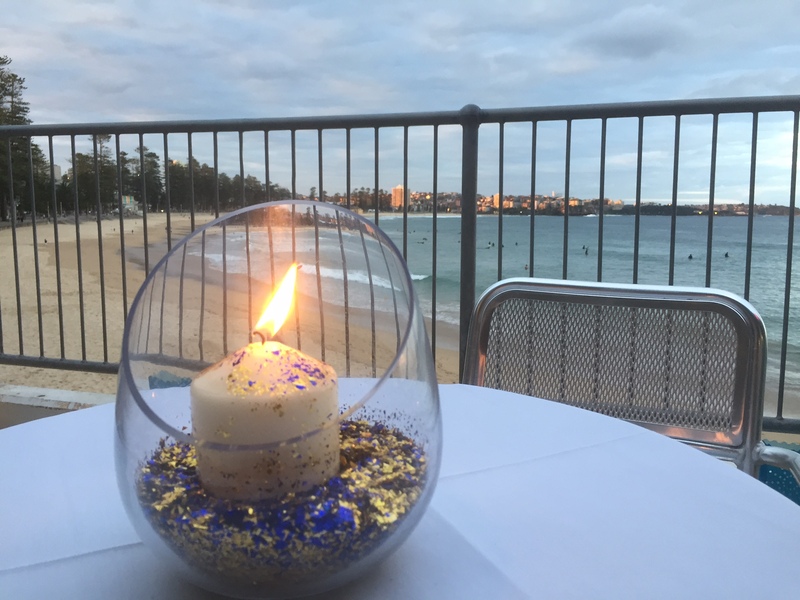 Simple but effective pieces used throughout the Manly Surf Club complimented the stunning backdrop of Manly beach and as the day turned to night the items used to style the venue literally lit up. 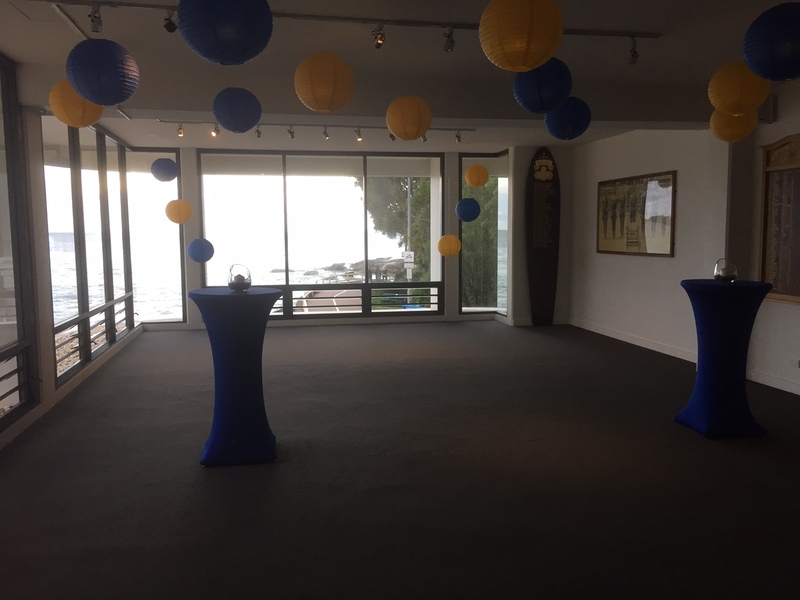 Through the use of classic royal blue and gold colours across all items reflecting the combined colours of the Manly surf club and a traditional 50th celebration the venue felt elegant and transformed. As guests entered on the ground floor, paper candle bags glowing with warm light lined either side of the staircase and directed them up to the venue. Beautiful ribbon entwined through the bars of the staircase added to the all important first impression that this night would be different to others. With floor to ceiling glass looking out over Manly beach the venue decorations were set to compliment the stunning backdrop. Kept simple but elegant through the use of large paper lanterns that were lit and hung from the ceiling throughout the entire room and tall bar leaners dressed in royal blue all topped with teardrop candle holders brimming with gold and blue glitter encircling the beautiful candle inside. On the veranda, more beautifully lit candle bags lined the area and were complimented by small tables set with simple white clothes and adorned with more stunning centrepieces. A usually plain and simple venue was transformed into one of elegance and celebration through the use of creative styling ideas that broke the pre-conceptions of this venue but not the limited budget.